I remember when my wife was pregnant both times we were told by the doctor that she should increase her intake, actually supplement, with Folic Acid. Well there is a study from Australia that seem to show the link between Folic Acid and a reduction in Asthma issues in kids. But taken later in pregnancy folic acid will actually have the opposite effect. Found in its natural form in leafy green vegetables, legumes and some nuts, folic acid is commonly recommended to women trying to conceive to prevent neural defects in the first weeks of pregnancy. But the Australian study found that women who continue to take folic acid late into pregnancy were 30 percent more likely to give birth to a child which would develop asthma. 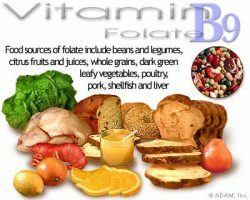 “We see a substantial proportion of women taking these folate supplements throughout pregnancy, and it may be because people think it is entirely benign,” said Michael Davies, associate professor at Adelaide University. “Our finding should be reassuring to women who take folate for the purpose of preventing neural tube defects because we found no evidence of early supplementation (leading to asthma),” Davies told newswire AAP. That was a very timely piece of info for me and my family.Thanks for sharing!